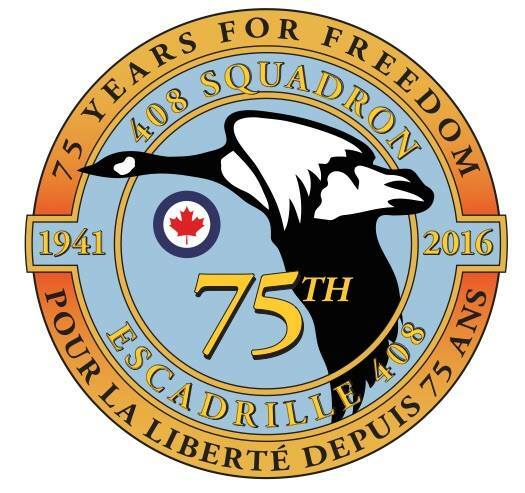 The 408 “Goose” Squadron” Association is an Association of retired and serving members of 408 Squadron and individuals wishing to perpetuate the memory of 408 Squadron Members and their exploits. The Squadron has a long history and celebrated its 75th anniversary of active service in 2016. There have been 14 different aircraft types on its strength. The Squadron currently operates and maintains CH-146 helicopters and has had everything from Hampden and Lancaster Bombers to Griffin Helicopters on its strength. a. To sustain and reinforce the maintenance and friendship of former and present squadron members through reunions and other activities. b. To perpetuate the memory of 408 Squadron Members and their exploits. If you wish to become a member of this organization, please fill the following document out and mail to our Membership VP Dues are $10.00 per year or $100/Lifetime and entitle you to a discount at any 408 function open to Association members. You will also receive advance notice to any event open to association members. Membership can be purchased through the CanadaHelps Charities website. Click Here to Donate Online. Alternative Payment options with be Cheque, but no tax receipt are available through this method. Anyone looking for lifetime membership is requested to donate $100 as well to include their Contact info so the 408THS Commanding Officer can send you your first membership letter.